Amateur golfers need an instruction methodology that’s based on simple, basic and easy to understand concepts, which allow the golfer to find their game when things go wrong. Starting May 13th Brad & Craig will be running Women’s Sip & Chip workshops for both public and members. These five week lessons is good for both beginners and more experienced golfers. It focuses on both short and long game strategies, getting you ready to play for the season. Finish your weekly session off with a beverage of your choice on the patio or the bar with friends. Mondays, Wednesdays, Fridays 5:30-6:30 & 6:30-7:30 time slots. An effective junior golf program as juniors are essential to the future of the game. Our junior WEE GOLF clinic is designed to introduce the skills required to play the game of golf. The golfers will learn the fundamentals of the golf swing, safety, etiquette & rules of the game. With low instructor to student ratio, we hope to be able to give each individual junior golfer the attention required to master basic golf skills. All lessons will be conducted at the practice facility at Dalewood Golf Club by CPGA Professionals, Brad Pemberton & Craig Pitt. Our goal for the program is to build a set of golf skills that would allow them to play a short game at the end of the session. 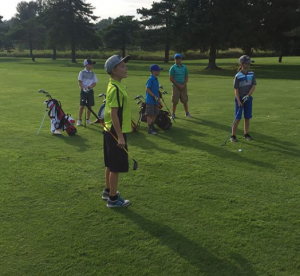 Our junior i-golf program is designed to develop and enhance the skills of our junior golfer. We will build upon the basic fundamentals of the golf game; grip, stance, posture, alignment, swing, putting, chipping, rules, safety. Players will be grouped according to skill level to ensure they are getting the proper instruction for their ability. Lessons will take place in a group format and will be conducted on course and at the practice facility of Dalewood Golf Club. Over the course of the program golfers will improve on their golf skills and most of all have fun. To achieve success one must determine where they want to be and identify a game plan to get there. Our 4-phase approach personalizes the instruction process to ensure your goals are met and you get the most out of your experience. 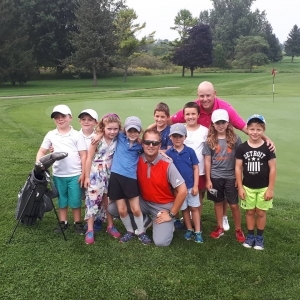 If you have any questions about any of the above lessons or clinics, please contact Brad Pemberton, CPGA Head Golf Professional at bpemberton@dalewood.ca or 905-885-8144 x 211.